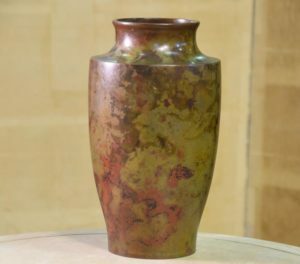 A Cast bronze Ikenobu flower vase. In good condition.The size is D: 333mm x W: 333mm x H: 180mm and the weight is 4.360Kgs. SKU: 12937. Categories: Bronze, New Arrivals.